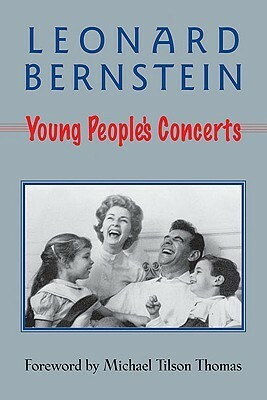 Leonard Bernstein’s Young People’s Concerts. It was a matter of luck or fate that I stumbled into this book at a second-hand book market in downtown Athens. It was left unnoticed at the stand as people’s attention was drawn to more popular or modern titles as is usually the case. In a sense I was also left unnoticed at that period in my life, having a nice job in Munich, I met a girl, followed her to France, that didn’t really work out and here I was, unemployed and alone back in Greece trying to figure it all out. We matched I thought, so I bought it. Little did I know that it would change my life. The book contained the audio transcripts from episodes of the Young People’s Concerts series (broadcasted in the US during the 60s), and that was the first clip that I came across while looking for them. Suddenly it all made sense. What I had been reading on paper I could now understand and feel hearing the music. I was hooked, and alone in my room for days I binge-watched and binge-read anything Bernstein related that I could find. The discovery of classical music offered me the much needed consolation at that time and music being a lonely activity forced me into introspection. How else, if not by introspecting, can one select among hundreds of interpretations the one that really connects with his emotions and mental state? What difference does it make in your soul the precision and sharpness of this or the intensity and power of this? Which interpretation do you like and why? What feelings or memories do you get? The answers are inside us. Music was the catalyst, and with its discovery I was discovering myself. That process of self-awareness resulted in greater confidence and inner strength, and the belief that no matter how difficult times can be I will always have someone to rely on. Me. Now, in a strange sequence of events, here I am again in Munich facing the same dilemma. Different girl, different country. In music there is a term when the beginning theme is repeated a second time; recapitulation. But then the theme is repeated in the tonic key, releasing the tension, concluding the piece in harmony and ultimately signifying that everything that preceded happened for a reason.